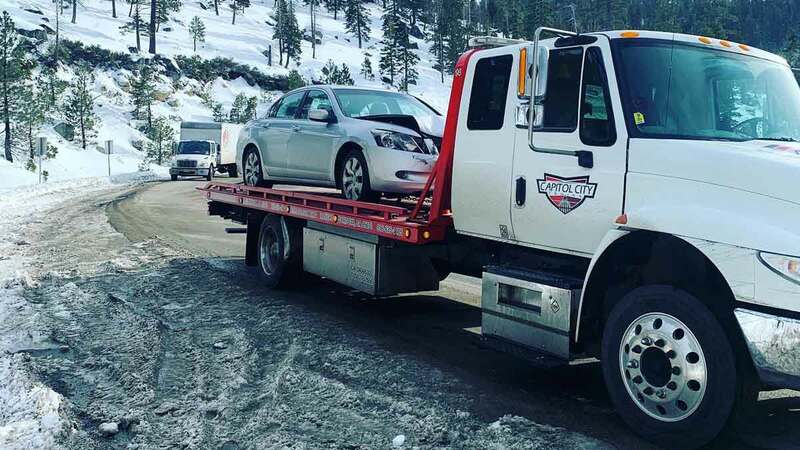 Sacramento Towing Service, Capitol City Towing, provides fast and affordable towing in Sacramento, Rancho Cordova, Arden-Arcade, Carmichael, La Riviera, Rosemont, Florin & along I-5, I-80, US 50, CA 16 & CA 99. 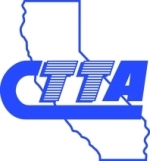 They offer immediate towing for the best rates to all points in the greater Sacramento area. 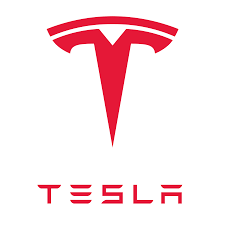 They are committed to fast-response, high-quality and value-priced towing and roadside services and their team is dedicated to 100% customer satisfaction. Contact their towing request line at 916-383-3711. 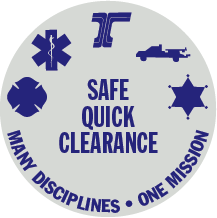 Capitol City Towing provides complete local towing and recovery services throughout the greater Sacramento area. They deliver expert auto recovery including jumpstarts, and off-road recovery to all points in Sacramento, California. 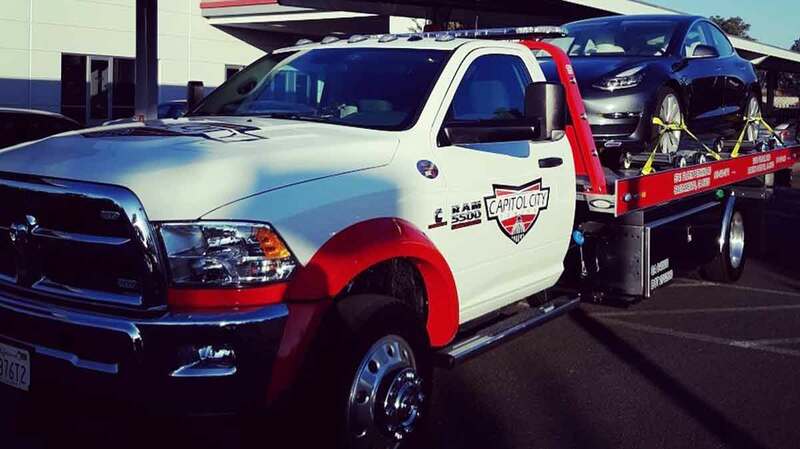 Capitol City Towing offers immediate towing throughout Rancho Cordova via their Rancho Cordova location. With a fleet of over 20 tow trucks awaiting your call, contact Capitol City Towing first to save money and time today. Capitol City Towing offers affordable and flat rate long distance towing to and from the greater Sacramento area including: Rancho Cordova, Arden-Arcade, Carmichael, La Riviera, Rosemont, Florin & along I-5, I-80, US 50, CA 16 & CA 99. With a fleet of tow trucks awaiting your call, contact Capitol City Towing first to save money and time today. 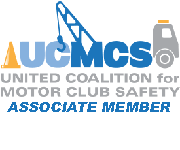 Capitol City Towing is the trusted towing provider for many area businesses, fleet managers and roadside service networks. With over 125 years of combined towing experience on staff to serve you, their towing fees are reimbursable by most insurance carriers and road service providers. Partner with the best towing provider by calling Capitol City Towing now at 916-383-3711. KC was amazing. He was fast, reliable, friendly. He was prompt. The service was great. We were very happy with how quick he was and how great he was. Thank you! After being rear ended, and dealing with my insurance company, I was extremely pleased with the service I received from this tow company! One word, Professionalism. It was a pleasure to deal with a company that valued my time and made sure that I was taken care of. Will definitely use again if the need arises.